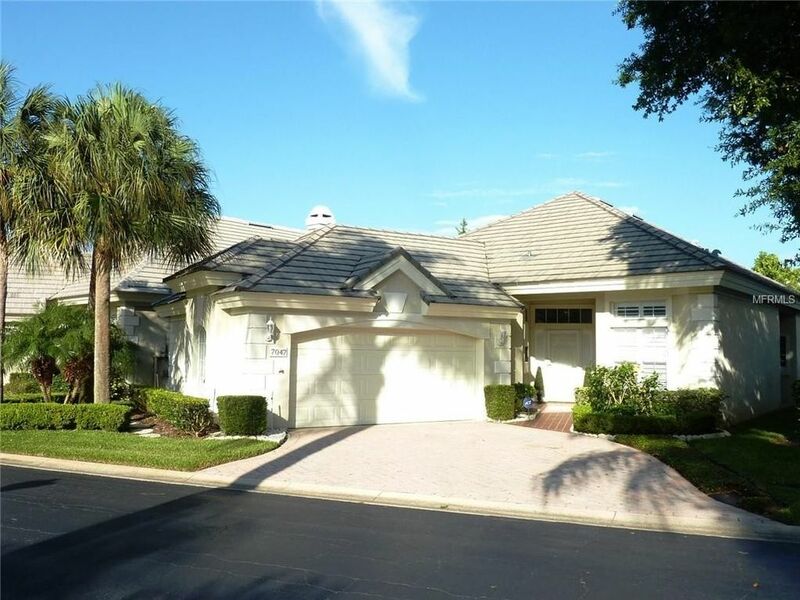 Move-in ready highly desirable single story home in the gated community of Bay Ridge in Dr. Phillips. Prime interior lot with very private back yard. Inside you will see an updated eat-in kitchen with granite counters, stainless appliances w/wall oven in addition to the glass top stove. Ceramic tile plus high quality wood laminate floors throughout. All windows have custom shutters for privacy & natural light control. Large laundry room off kitchen includes washer & dryer and has room for an extra refrigerator. A/C recently replaced and new high quality toilets. Oversized Florida room off living room has custom shades on all windows. The private back yard is attractively landscaped and features a large brick paver patio that continues along the side of the house to the front fence with gate. Some furnishings available, window valences negotiable. The gated Bay Ridge community offers amenities and a location that can't be beat. The HOA provides individual lawn care that includes cutting, landscape trimming & tree pruning. There is also a community pool and cabana located in the center of the community. Within one mile there is a library, schools, YMCA, restaurants, shops, grocery stores, coffee shops, banks and more. Excellent location near: Disney, Sea World, Universal Studios, International Drive, & Lockheed Martin. Easy access to airport, downtown, shopping & major highways. Bay Hill Club and golf course is just across the street from the Bay Ridge entrance and has social or golf memberships available. Directions: Sand Lake Road West to right on Apopka Vineland Road. Proceed 1/2 mile to Bay Ridge entrance on the right. After gate entry make 2nd left on Somerton Blvd. to #7047.